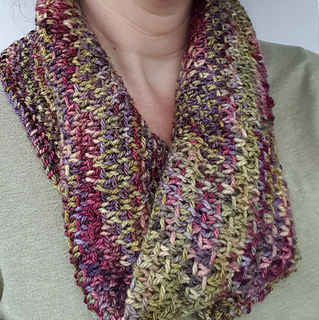 Early bird discount:Pattern is half price for first 24hrs, no code needed. Until 9pm Jan 22. If you have a quiet few days planned and 100g of beautifully variegated DK yarn why not knit yourself a Twixtmas cowl. I originally designed and knit this in the slow, quiet days that lie between Christmas and New Year when I wanted something peaceful and pretty to knit on. 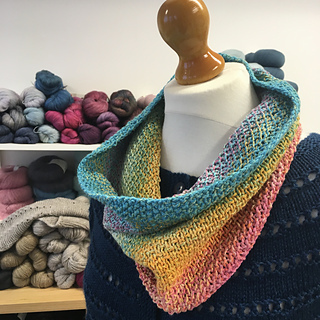 It works best in beautiful, variegated hand dyed yarn and the texture really allows those pretty little pops of colour to shine through.